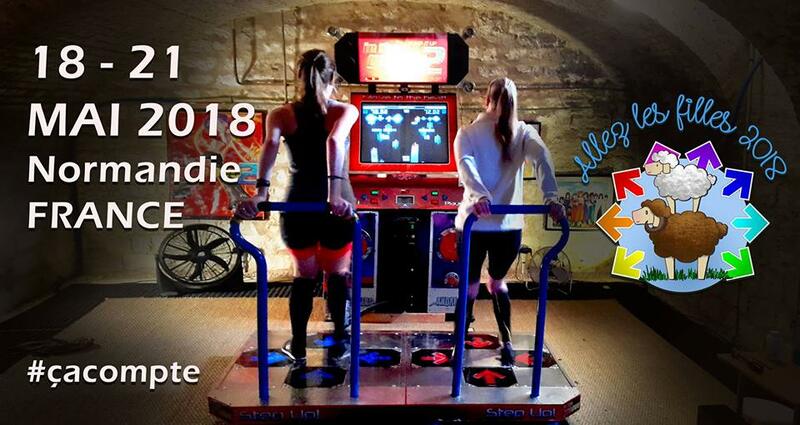 Hello everyone and welcome to the 2018 installment of Allez Les Filles ! The tournament will follow the OG Girlspocalypse rules with some tweaks to it which is basically 3 categories, Stamina, Speed and Timing, two 1 (one) hour sessions to get the maximum of points you can in the different categories. Difficulties will probably range from 9 to 17 (might be tweaked if we happen to have people from the US playing above this level), so everyone is welcomed to participate. Specific rules will soon be updated but remember, this is not GP, and nor is it the female Eurocup, it’s an event meant to gather female players from France and all of Europe together to have some great fun ! Any mods allowed except for those that change the number of arrows in a chart. Submissions must be done by posting scores here with Nickname and Country of Origin. There will be 3 levels, 10, 12 and 14. Only the passing scores count, total Score is Level3 Passing Score * 10000 + Level2 Passing Score * 100 + Level1. This will make you have 3 ranks, one for each category. We will add your 3 ranks, make a total of points with it, and rank you with that. I placed 3rd in Speed, 5th in Timing, 2nd in stamina, I got 3+5+2=10 points. Anyone with less than 10 points will have a better rank than me, anyone with more will have a worse rank. Qualifiers end on March 15th, and unless there is exceptional response in terms of participants, everyone who passed at least a qualifier song is in. This serves for seeding and to judge general interest. Hello les staminanas et bienvenue à l’edition 2018 de Allez les Filles. On prend les mêmes et on recommence, cette fois ci avec vos BFF internationales 🙂 ! Les règles n’ont pas changé, et le weekend sera un weekend de 3 jours avec le lundi de Pentecote. Scores a poster ici pour être pris en compte ! Une 9 et une 10 a passer, tous les scores #comptent. Le score final sera Score Song1 + Score Song2. Une 10, une 12, une 14. Seuls les pass #comptent, le score total sera : Score de Pass Level3 * 10000 + Score de Pass Level2 * 100 + Score de Pass Level1. Ca fera 3 rangs pour les 3 catégories, et on va les ajouter pour faire un total de points. J’ai fait 3e en Speed, 5e en timing, 2e en stamina, ca fait 10 points. Si t’as plus de points, tu es derrière, tu as moins de points, tu es devant. Les qualifs se terminent le 15 mars, et a moins d’une participation exceptionnellement nombreuse, il suffit de passer une song des qualifiers pour faire partie du tournoi !